By: VelopaloozaCelebrate the end of Velopalooza at our wrap up BBQ! We're having a feast! 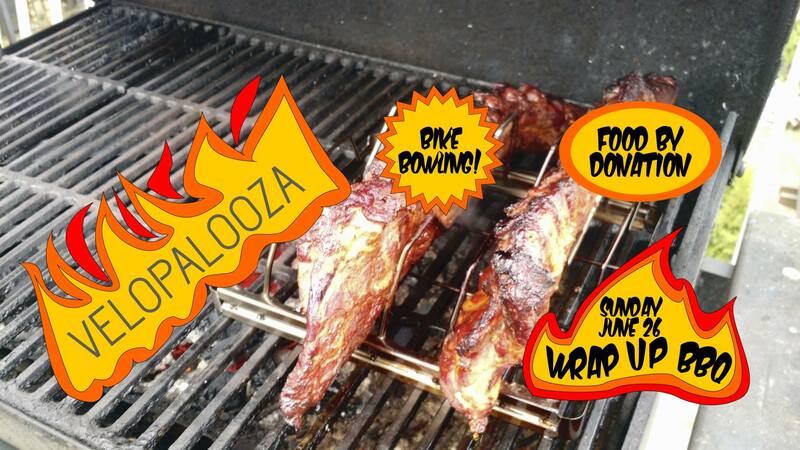 This ain't no "frozen burgers and hot dogs" event; come sample some of Velopalooza's very own BBQ master's smoked deliciousness. Chicken? Ribs? Baked Mac'n'Cheese? Baked Potatoes? Vegie options too! We've got it all, by donation. BBQ starts at 3PM; we'll be serving till the food runs out or 7PM, whichever comes first. Velopalooza would like to thank the sponsors that helped make this year's festival possible: CCEC Credit Union, the Bike Doctor, the Georgia Straight, Union Street Cycle, and Reckless Bike Stores.